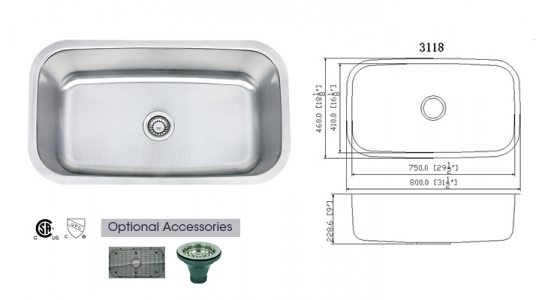 Sable-SS-2318-18G sink has a different look than the traditional sinks. From the conventional look of sinks to be rectangular, sable is more inclined towards a square shape. Water drops do not strike your face while you work with the sink in kitchen. 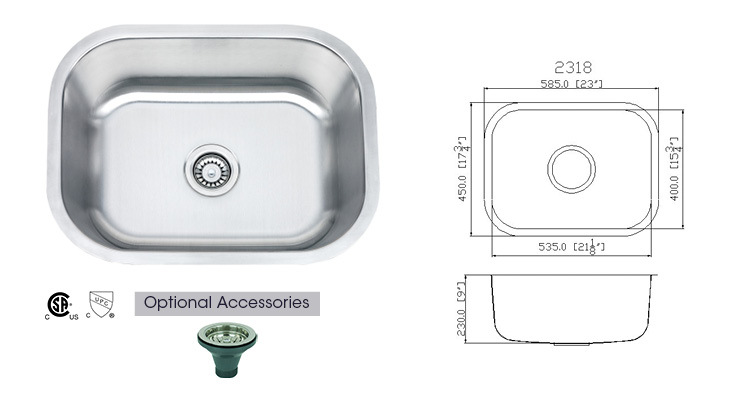 It provides you more space from both length and breadth of the sink. 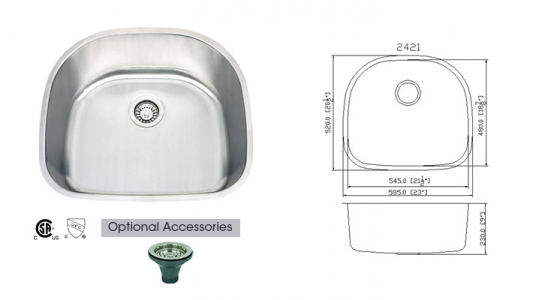 Also, it occupies less space and still provides the same benefits as other sinks do. 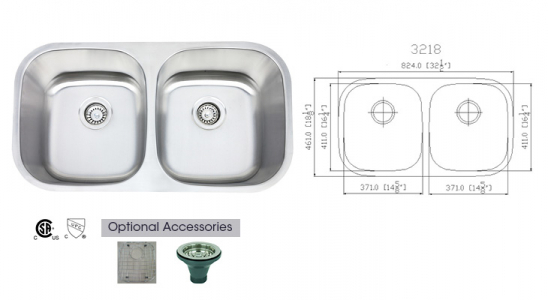 Each and every sink of Cosmos has the best quality, highest caliber materials and foremost craftsmanship.  Sable-SS-2318-18G is the modern day figure for kitchen sinks.